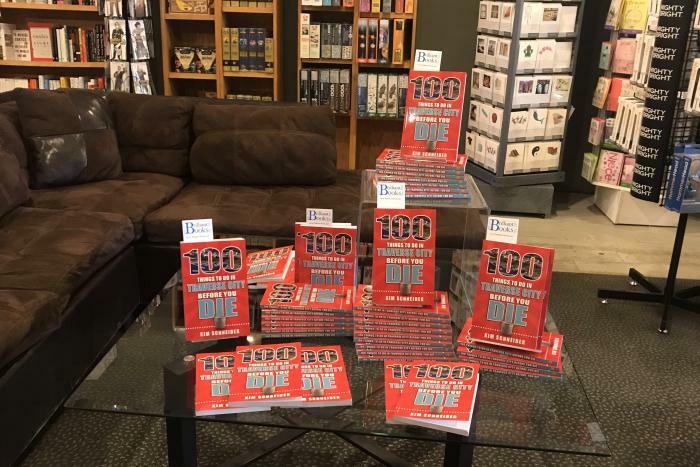 Travel writer Kim Schneider&apos;s book, “100 Things to do in Traverse City Before you Die” is being launched this week in local bookstores, kicking off with a Saturday (3-6 p.m.) launch party at Brilliant Books. Since the book highlights the Traverse City region we had a few questions for Kim. Take a look at the Q&A. If the title were 101 Things to Do in Traverse City Before You Die, what would you add? If I could add another item, I&apos;d bring back one of the many items that landed (literally, as I picked among my way more than 100 sticky notes of favorites) on the cutting room floor. Picture a hockey game that&apos;s gotten a little out of control, and that&apos;s what was going on in my imagination as I got down to selecting those final items. “Food and Drink” kept elbowing “Sports and Recreation,” category, saying, “Hey. We&apos;re America&apos;s top foodie town, so I should get another item,” with nature replying back, “But I&apos;m the reason people come!” And so it went. For that one extra item, I&apos;d lean toward something that combines many of our iconic experiences like the rooftop dining and views from the Hotel Indigo, the Franklin and the Park Place. 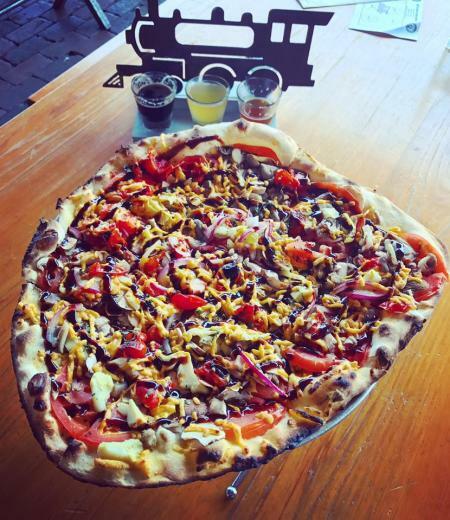 From each of those, you can soak up downtown&apos;s growing city vibe and culinary creativity, sometimes even listen to the local musicians making a real splash on the national scene. You can also just gaze at the bay, which I swear turns a different color by the hour. What were some of the challenges in writing this book? Picking among so many of my favorites was the biggest one, especially in the food and drink category. I can&apos;t even decide where to go to dinner on a given night, Traverse City has so many new and interesting restaurants. Then there was the challenge of describing the essence of a place and story behind it in just 135 words or so. Luckily, they also gave me pages for tips. If someone only has three days to spend in TC, which sections would you tell them to focus on? I would steer them to the itinerary section in the back as a guide. One day, I&apos;d have them either “Meander up Old Mission” or “Linger on Leelanau” and hit wineries, quaint port towns and farm stands. I&apos;d have them theme a second day around “Classic Traverse City.” The third day would have to include as many items as possible from “Worship the Water,” which includes a boat ride, waterfront dining, a beach sunset and more. As a tourist in your own town, which activities do you enjoy the most? I&apos;m a sunset watching and beachcombing addict, as Facebook friends will attest from my too regular photo posts. I love that local wineries are increasingly offering food and live music and becoming not just tasting rooms but community gathering places. And I truly mark the seasons through morel hunts and blossom fests and cherry picking and fall color tours—all integrated now in our family traditions. Kim Schneider is a long-time area resident who lives in downtown Suttons Bay as close as she could get to the weekly farmer's market, the TART trail, the marina and many of the other favorite outings in the book. 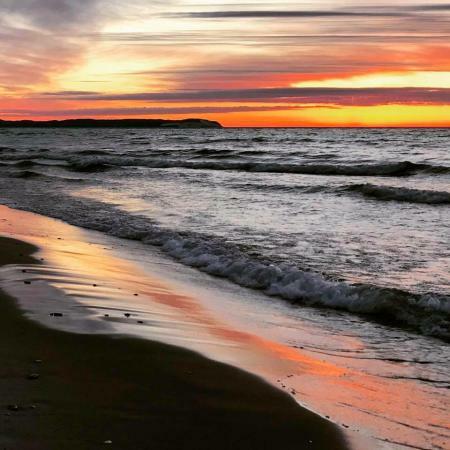 She writes about Traverse City (and other destinations) for publications including Pure Michigan; Michigan Blue; Traverse: Northern Michigan's Magazine; AAA; Delta Sky; Michigan Wine Country Magazine and more. Follow her travels through her website, Facebook, Instagram or Twitter.